Compact and powerful, the 100-watt Katana KTN-Head delivers sharply defined rock tones with rich, commanding presence. 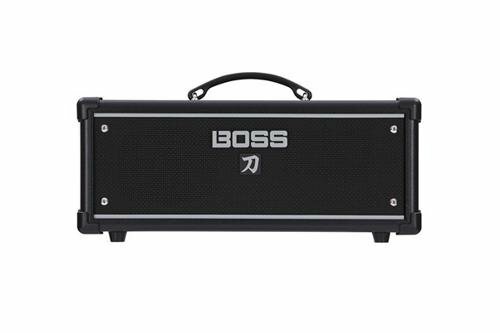 The amp also includes integrated access to 55 BOSS effects, which are customizable using the free BOSS Tone Studio editor software. Up to 15 different effects can be loaded at one time, enabling you to build fully prepared sounds inside the amp.In addition, the versatile Katana KTN-Head is equipped with an effects loop and MIDI for integration with advanced rigs, and features a convenient built-in monitor speaker for tone preview and practice without a cab.